THE LIGHT RAIL linear corridor and THE HYBRID, MULTI-FUNCTION GROUND PLANE, Draw from the already DIFFERENT existing areas of activity ALONG THE STREET FABRIC, creatIng the City Front. This area captures the activity of grand central, one of the greatest transportation hubs in the world, but also offers serene, open, natural spaces filled with light, air and water, suitable for leisurely and quiet recreation. the plaza complements the times square bow-tie, alleviating the crowding within the bottleneck. 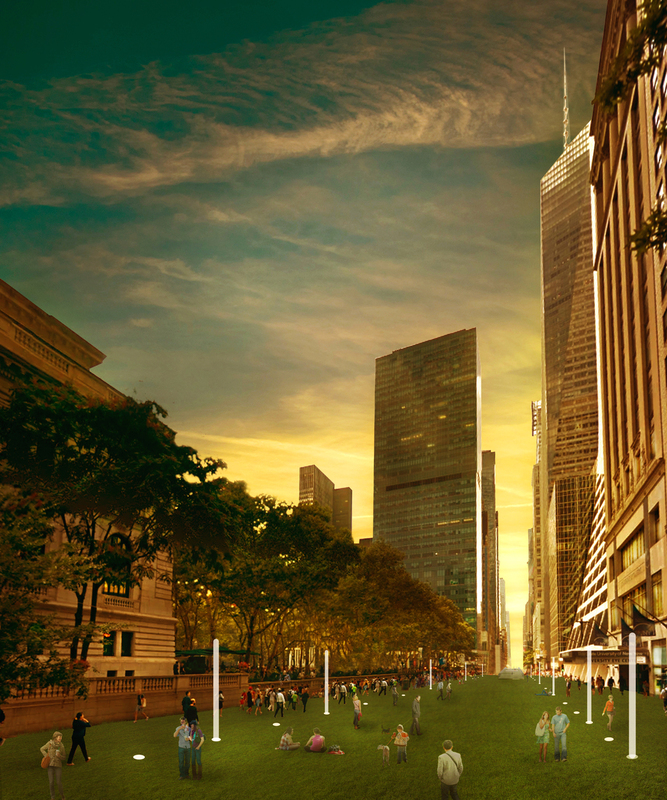 sloping upwards towards the east river, the boardwalk Meets the circle park, outdoor cinema and promeande plaza.